Photography tips for kayaking: "Vancouver Island Kayak Adventure"
Creative discoveries often arise when you break the rules. Don't be afraid to experiment. Digital images that do not work out are easy to delete. Wildlife specialist and photographer Dr. Wayne Lynch joined us last summer with his wife, Aubrey. Their mission: learn about the sea otter coast, while experimenting with photography techniques from a kayak, then share their experience with others! 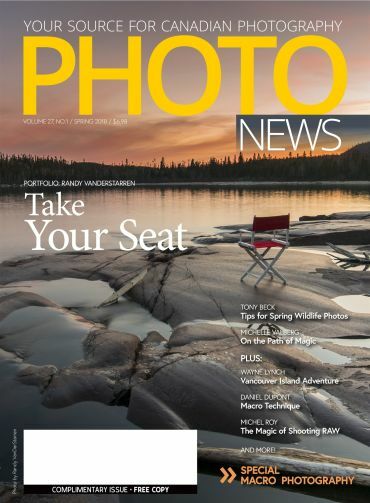 We are happy to share that PHOTO News recently published an article by Wayne, featuring his reflections about their experience, some west coast images, and seven tips for safely taking great pictures while sea kayaking. Enjoy reading his "Vancouver Island Kayak Adventure" story. Photography can be part of any kayaking trip trip with us, however, if you're an avid photographer and less interested in the kayaking part, you'll love our custom Photo Tour, June 24-28, 2018, which includes the opportunity to try photography from a kayak, but is more focused on accessing special locations on foot or by power boat for wildlife and landscape opportunities that are available nowhere else. This Photo Tour is limited to only 4 people, with individualized attention, so don't miss out!